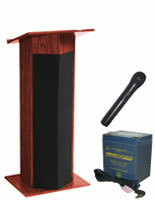 This wireless handheld microphone is a great add on to any of our sound-enabled lecterns, podiums and pulpits. 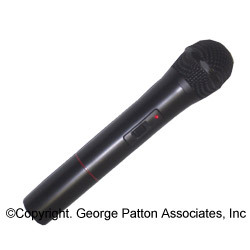 This microphone requires a 9V battery (not included). 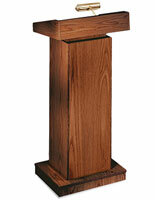 Flip the wireless on/off switch on your lectern to the on position to use this microphone. 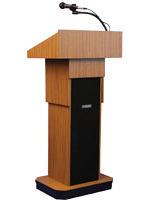 This microphone allows the speaker to use the lectern wireless up to 200 ft. 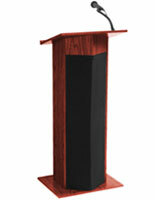 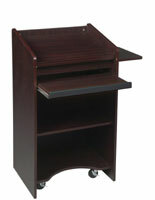 If your lectern was not purchased from us or if trying to use it with sound system other than these specific podiums only, we cannot guarantee that this product will work with your system.